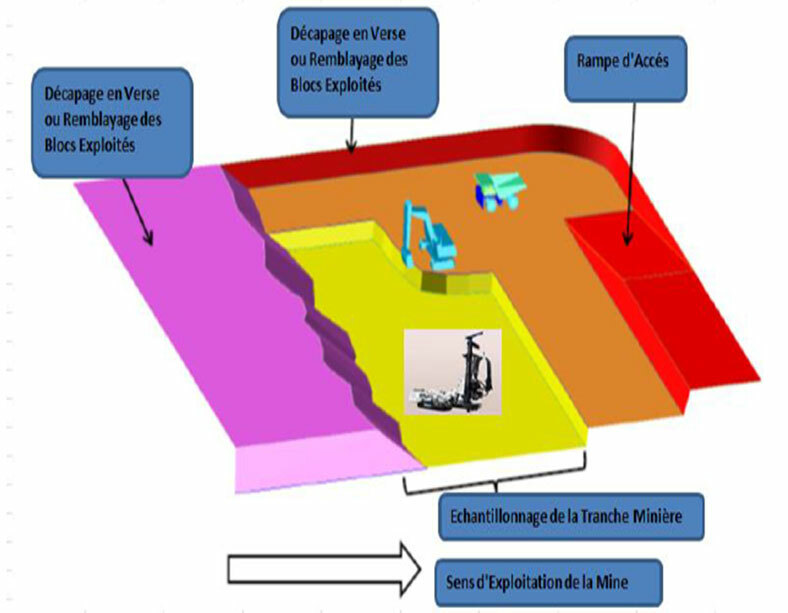 The mining concession known as “Manganese of Franceville” has a renewable duration of 25 years and covers an area of 835 km2. 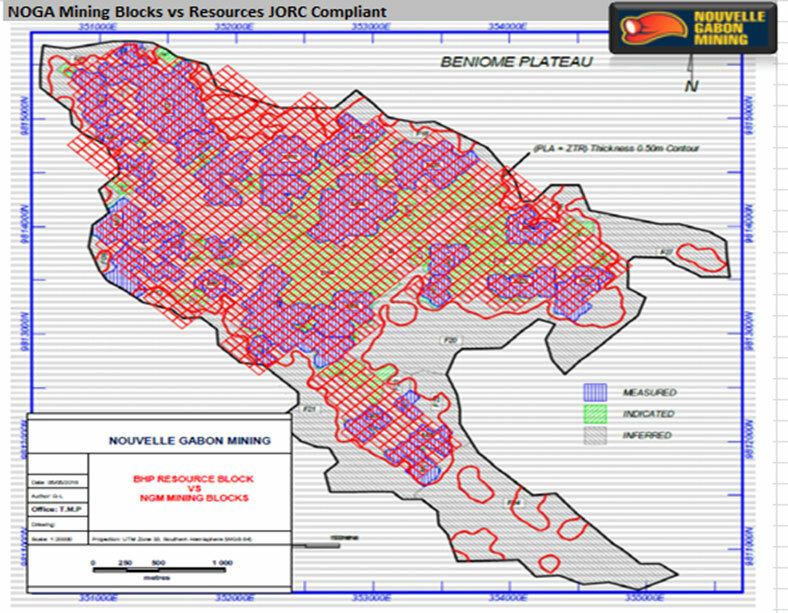 It comprises fourteen (14) uplands of which Biniomi and Bordeaux are the best known with JORC reserves estimated at 33 million tons of ore. The Biniomi upland, currently in production, is divided into two (2) extraction zones (A and B). 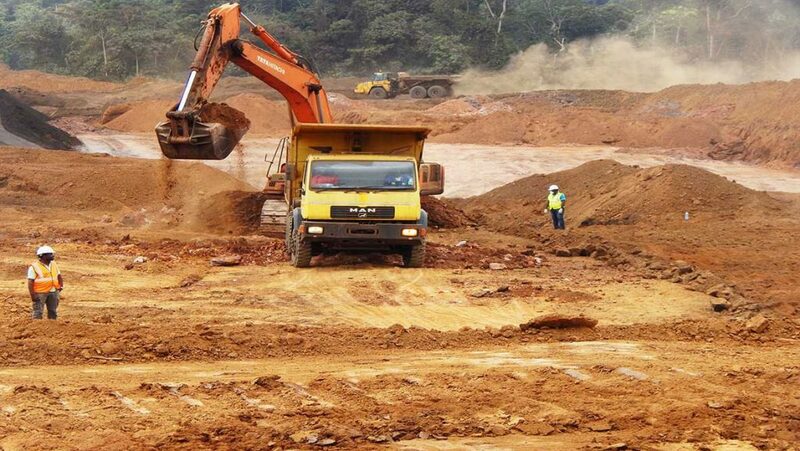 The extraction is organized according to a mining plan, zones divided into mining blocks of dimension 100m x 50m. The transport of ore from the extraction zones to the platform of the plant is done by articulated trucks (Dumpers).